Here at Foxland Cleaning we provide commercial and residential awning cleaning. Our awning cleaning service is one of the best in our area. We have the latest equipment and techniques with the help of which we done our job with 100% customer satisfaction. Techniques we use in our cleaning process includes pressure cleaning, soft Washing and many more. This allows us to clean your properties quickly, efficiently and with no risk of harm to structures. 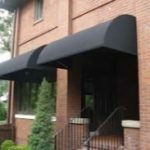 Our unique awning cleaning is proven to deliver best results by using an array of different methodologies and innovations. We always make your awning look its best according to the newest cleaning standards. We bring new change to your building by following our perfect process and using new and improve technologies and methods. Vinyl Awnings are great for a cheaper but nice look to a shopping mall or children’s playhouse. This material does not absorb stains much but, it does static bond to dirt. 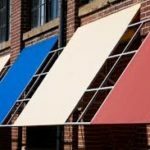 Canvas awnings show the more traditional look of awnings. However, they due stain more easily seeing the fibers absorb more. 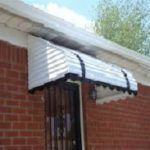 Metal Awnings are no longer in style. Yet this awning style is quite stain resistant except for mildew. 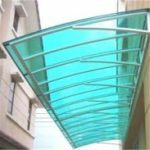 Glass Awnings Are the new metropolitan look that is perfect for many businesses. This awning does not stain. Periodic awning cleaning will be needed to remove dirt and road grime though. First, we rinse wood, plants, and awning. Second, we apply the solution to the awning material. Then, we brush the solution into fabric. Next, we allow the solution to dwell 10-20 mins. Last, we wash the awning with soft wash nozzle. We are always looking to give our customers the best service for the cost. Get a free quote from us or check out this site to check average cost. Or this guide that goes in depth on the awning cleaning process.